Welcome to the Brahma Kumaris - United Kingdom - Body - Mind: What is the MISSING ingredient? 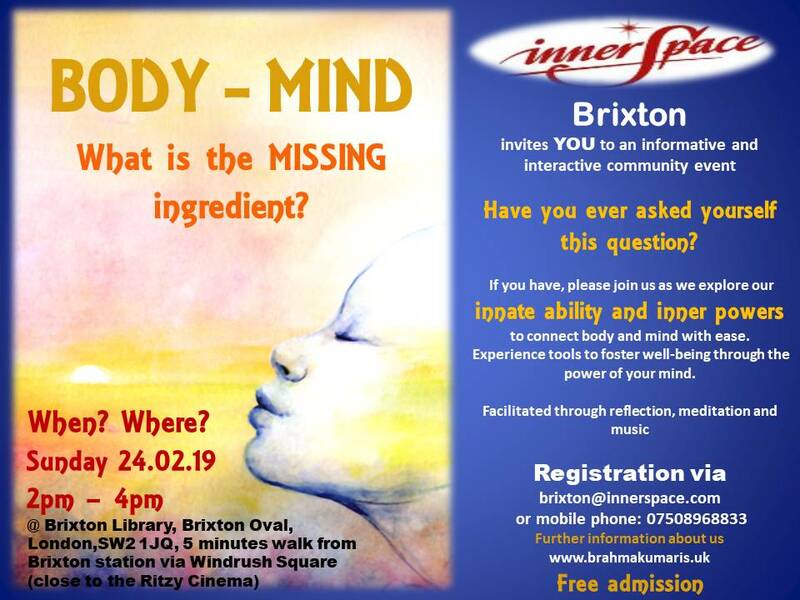 Body - Mind: What is the MISSING ingredient? Would you like to explore more ways in order to increase your overall well-being?This event is for YOU!